This Melbourne trip I went for quality over quantity. 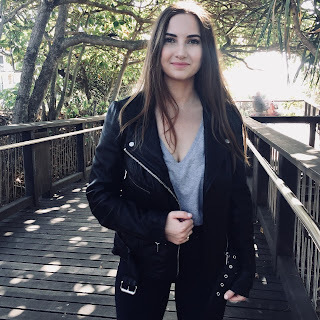 I'm super happy I got a leather jacket. 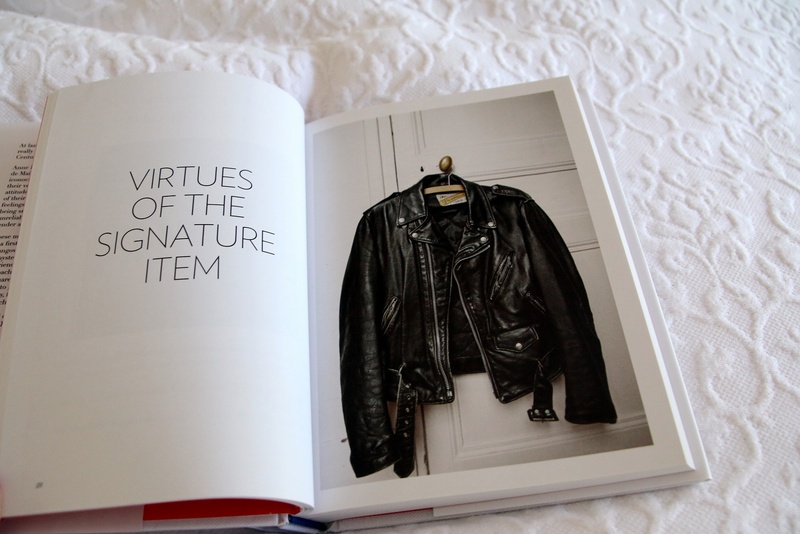 Leather jackets are that signature item everyone should have in their wardrobe. 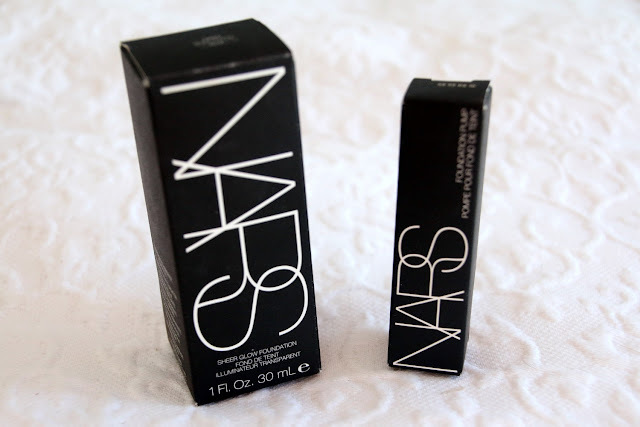 Also getting the Nars sheer glow foundation was fab - I was running low on my current max factor foundation (which was waaay too dark for my pale winter skin) so I decided it was a good time to give a new foundation a go. Loving the longchamp backpack too. I have to admit something..i'm not very trendy. 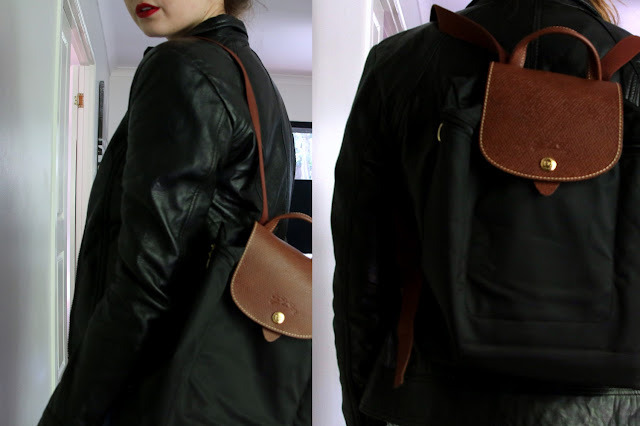 But everyone I put the longchamp backpack on I feel trendy which is a nice change. 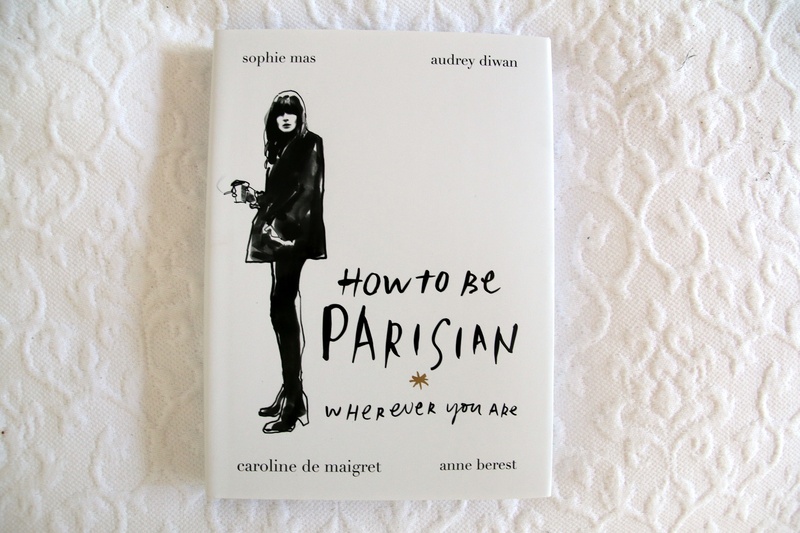 If anyone is looking for a nice witty book to read i'd recommend "How to be Parisian" as it makes you feel more sophisticated just by reading it. There are so many great quotes I just want to frame and put in my room. I love that zara top - totally my style! I love your bag and your top. I will have to look for that bag as it's something I really want hha. PS. 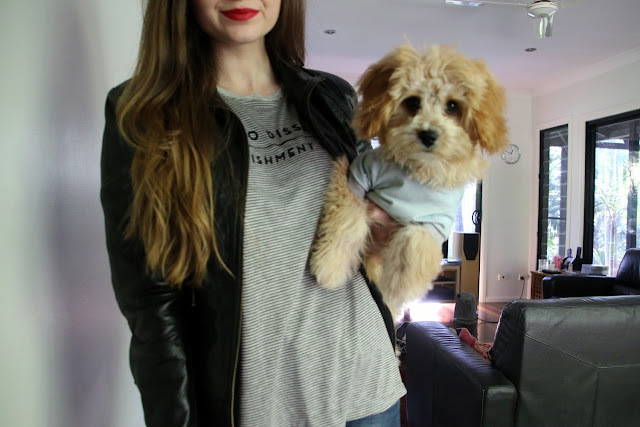 love the dog too!